The DRILL Programme is led by disabled people in all parts of its structure. The DRILL Programme Board, made up of the 4 Chief Executives of the partner organisations, meets regularly and oversees the operational and strategic delivery of DRILL. The DRILL Programme Team has a Programme Manager, a Grants Officer, 4 Programme Officers (1 in each nation) and an Administrator to make sure the programme runs effectively across the UK. We have 4 National Advisory Groups (NAGs), 1 in each nation. Their purpose is to assess the DRILL applications from their nation and put forward the highest ranked applications to the Central Research Committee (CRC). The CRC looks at all the ranked applications and makes the final decision on which applications to fund. The majority of the members on each of the NAGs and the CRC are disabled people. Each are chaired by a disabled person. It is very important that everyone who participates in research or pilot projects is treated with respect and not taken advantage of. It is therefore important that all successful projects have ethical approval. A DRILL Ethics Committee is now up and running. The committee considers ethical issues for those successful applications that have no access to a university ethics committee. DRILL Programme roadshows were held across the UK from October 2015 to February 2016. The purpose of the roadshows was to find out about disabled people’s priorities. You can find reports on all the roadshows in England, Northern Ireland, Scotland and Wales on the Reports webpage. We have also looked at all the applications DRILL received in the 1st Call and conducted some analysis regarding themes, impairments, geographical spread and type of project. 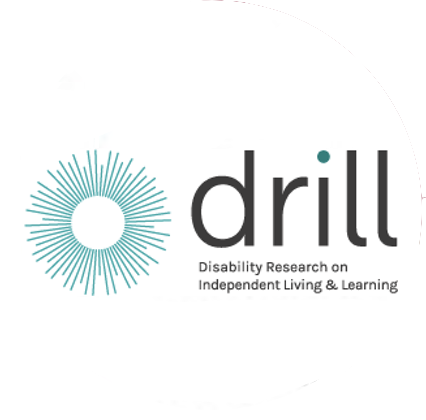 The DRILL partner organisations continue to engage with disabled people and their organisations on a broad range of issues impacting on lives of disabled people. Extensive engagement recently took place across the UK to bring together a number of independent reports assessing the implementation of the United Nations Convention on the Rights of Persons with Disabilities (UNCRPD). You can find these reports and other information on the website of each partner organisation. This ongoing engagement has helped to shape our priorities for the DRILL 2nd Call for research and pilot projects. The 4 partner organisations responsible for running the DRILL research programme are also going to carry out some UK-wide research over the 4 years that the programme will run. This will be about how to influence attitudes and behaviours towards disabled people. You can find out more about this the Helpful Documents, Annex 2. The DRILL Programme received 207 applications from the 4 nations requesting a total of over £17million in the 1st Call. Of the 207 applications received, 21 were allocated funding between them totalling almost £1.5million. These are innovative research and pilot projects across England, Northern Ireland, Scotland and Wales, led by disabled people and focused on finding solutions. Information on these projects can be found in the Projects section.